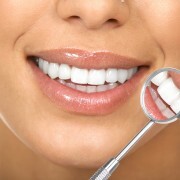 The main cause of tooth loss is periodontal disease, a common but serious condition that’s easily prevented. Of course, peridontal disease is not the only way a person loses teeth; teeth are loosened and knocked out without ever suffering from disease. Here's what you need to do if your tooth has fallen out. If you have missing teeth, there are many techniques — from bridgework and dentures to implants — that can restore your natural smile. 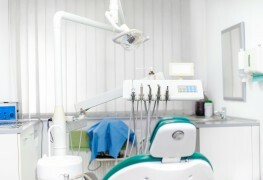 These days, more and more people are opting for tooth implants. They're nearly as strong as the originals, and they can be customized to make a perfect match with the surrounding teeth. 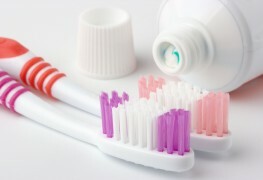 Don't jump the gun looking into these options right away, though; it is possible that if treated quickly and properly, your tooth could be saved. Gently rinse the tooth in warm, running water. Hold it by the top part (the crown) to avoid damaging the root. Try to reinsert the tooth into the socket. Don't push — it should slip easily back into place. Gently bite down on a handkerchief to hold the tooth in place until you can get to your dentist. Drop it in a glass of milk if you can't nudge the tooth back into its socket. This keeps the tooth moist and proteins in the milk will help keep the root alive. Don't touch it if it’s only been loosened. Researchers found that moving a loose tooth around causes more tissue damage than taking a hands-off approach. Call your dentist. Once the tooth is partly healed — it usually takes one to two weeks — your dentist can easily push it back into its proper position. Call as soon as possible to get a plan under way — getting to a dentist within the first 30 minutes to one hour could make all the difference. 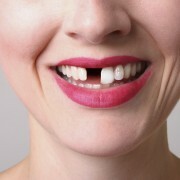 If your tooth has fallen out, your best bet is to visit your dentist immediately. Follow this guide and preserve your tooth so it can be quickly repaired. What can a dentist do to help my teeth?